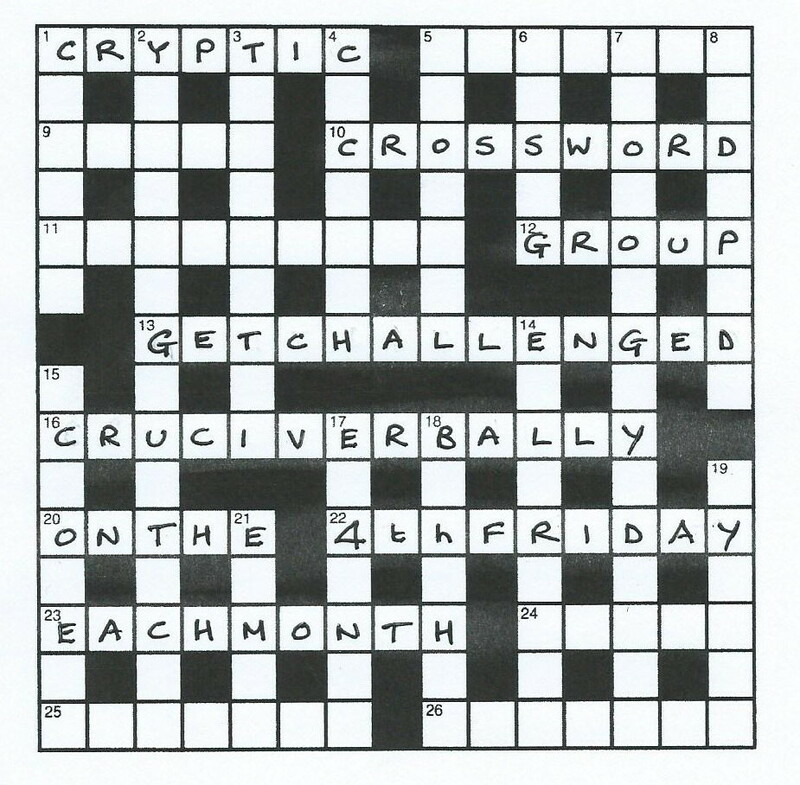 The Cryptic Crossword Group meets on the fourth Friday of the month starting at 2.00pm at 10 Leamington Drive, Faringdon. Sessions typically last about two hours including a break for refreshments. The focus of the meetings is the solving of a cryptic crossword of the standard found in national newspapers like ‘The Times’ or ‘The Observer’. Solving is competitive and teams of two or three vie to solve clues faster than the opposition and gain points for every space filled. We also look at different clue types to better understand how and why they work, discuss ‘crosswordy’ things that have caught our eye during the month and occasionally compile our own crosswords.